Trader Joe's owns a chain of grocery stores in different locations with its headquarters situated in Monrovia, California. Founded by Jow Coulombe the chain of stores has its corporate offices in key locations as well. This series of specialty chains initiated as convenience stores, and now all the grocery stores carry more than fifty thousand products and the stores also keep over four thousand products in its stocks. The collection of products on offer at the stores includes organic foods, gourmet foods, vegetarian foods, and even frozen as well as domestic products. Important beer and wine are also offered as alternative foot items in stores, where selling such items are permitted. There are currently 0 consumer reviews about Trader Joe's Company available. Share your review. 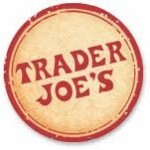 Please take a note that you are about to post a public review about Trader Joe's Company corporate office on CorporateOffice.com. This review will be public, so please do not post any of your personal information on this website. If you would like to contact the corporate offices of Trader Joe's Company, please use their contact information such as their phone number, website, and address listed above to contact them. However, sometimes staff from Trader Joe's Company headquarters do read the reviews on this website.